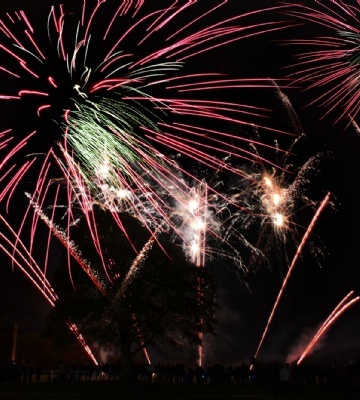 Back again by popular demand, the Worksop College Bonfire and Fireworks Display is set to be bigger and better than ever before. With an amazing display provided by 1st Galaxy Fireworks, expect a fun-filled evening for all the family on Wednesday 7 November. A delicious BBQ, with locally-sourced sausages, British beef burgers, Quorn burgers and sausages - and for the sweet-toothed, creamy hot chocolate - all included in the ticket price of just £12 for adults and £8 for children. Under 5s go completely free. Our boarders can attend free of charge, along with our flexi-boarders. So, if your child wants to board that evening, please let us know! Please note, this event is for family and friends of Worksop College & Ranby House pupils and parents. You are very welcome to purchase tickets for friends and family members, but please be aware that ticket costs will be added to your Termly Extras Bill. This year promises to be better than ever! Secure your tickets below.